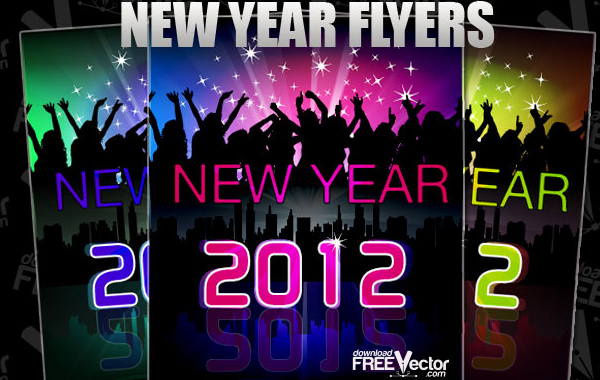 Free vector flyers for new year. Created with help silhouettes dancing people, skylines, raylights, stars. Download free vector New Year Flyer.